It’s beginning to look a lot like winter and what does that mean — that’s right, the ski season is here. It’s time for families to start planning their winter vacations. Here in Southern California, we have to wait a little longer before it’s cold enough to head to the local mountains, but that doesn’t mean that we can’t plan an early-season trip to Colorado, where family-friendly resorts are gearing up to welcome young skiers and snowboarders. Aspen/Snowmass. Plan the ultimate family winter getaway this season with plenty of unique offerings at Aspen and Snowmass. Friday nights during ski season, families are invited to Elk Camp, the new mid-mountain restaurant at Snowmass, which transforms on Ullr Nights into a nighttime winter wonderland. Ullr Nights include winter outdoor activities like Ullr’s Ghost Ship made of snow with lights and a slide, a Viking sledding hill, snowshoe tours as well as s’mores and hot chocolate by the bonfire. For little chefs, Little Nell in Aspen is hosting a series of cooking classes for kids ages four and older that will teach kids how to create savory and sweet items along with skills like measuring, mixing and chopping. Classes will be held on November 20 and December 18. Families can also book the Perfect Holiday package where kids ski, rent equipment and eat lunch free with the purchase of an adult lift ticket, equipment rental and lunch at select on-mountain restaurants (book by Nov. 15 for travel Dec. 20-25). Copper. Copper Mountain takes winter fun to the next level with Woodward at Copper’s Barn, a 19,400-square-foot indoor playground with year-round ski, skateboard and bike programs. The Barn features mini ramps, foam pits and Olympic fly-bed trampolines for athletes of all skill levels to practice their tricks for their next trip down the slopes. For some friendly competition, Copper Mountain also presents the Alpine Rush Zip Line where two riders can soar side-by-side 30 feet above the West Lake ice skating rink, reaching speeds of up to 30 miles per hour along the 300-foot line. Currently at Copper Mountain, guests can book the One. Two. Free! package and book two nights of lodging and two days of rentals to receive a third night of lodging free, a third day of rentals and group ski lessons free as well as free skiing for kids 12 and younger. Crested Butte. 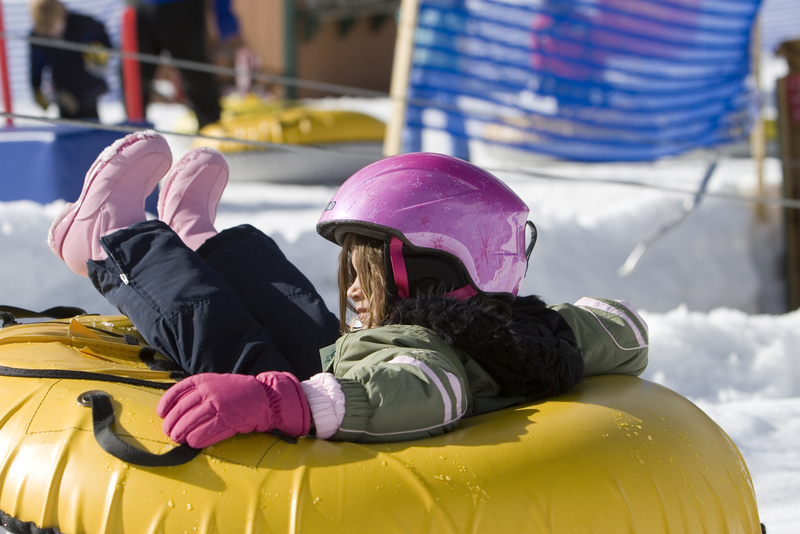 This winter, Crested Butte brings lots of new activities for kids to explore and discover. Crested Butte Mountain Resort (CBMR) has created three new trails for kids, including a trail that winds through the trees for a forest-like experience. The resort will also introduce its own mini Elk Avenue (Crested Butte’s Main Street) with façades along the trails for kids to ski through and play. Additionally, kids will be able to ski through a bear cave, U.S. Forest Service Lodge and gold mining building with interactive activities. CBMR also features the Adventure Park with a Zero Gravity BagJump, rock-climbing wall and bungee trampolines. The Grandest Christmas package ties the whole experience together with stays fromDecember 13-26, including four nights at Grand Lodge, three days of skiing and three days of Adventure Park access, starting at $999 for a family of four. Durango. Families are in for a magical experience this winter with the return of the Polar Express on the Durango and Silverton Narrow Gauge Railroad. The Christmas-themed train ride invites kids to get in their PJs and enjoy hot cocoa and cookies along with a reading of the Polar Express. At their destination, the kids will get to visit the “North Pole” where they are greeted by Santa and his helpers who join for the return trip, sing Christmas carols and give each child a special Sleigh Bell gift, bringing the story to life. Heading to the slopes at Durango Mountain Resort, a new offering from the Durango Dog Ranch includes dog sledding with hour-long, hands-on experiences where riders are whisked along the Old Flume Trail by Siberian and Alaskan huskies. Durango Mountain Resort also presents the Kids Ski Free package where four nights of lodging and four days of lift tickets for adults gets kids’ lift tickets for free, starting at $299 per family, per night. Glenwood Springs. Just a few miles south of Glenwood Springs, Sunlight Mountain Resort covers 680 acres of skiable terrain with 67 trails, including one of the longest runs in the state. The friendly and affordable ski environment is great for families looking for a spacious locale to hone their ski skills. Starting at $99, Sunlight’s Ski Swim Stay package is a favorite for families, offering a lift ticket, admission to the Glenwood Hot Springs Pool, slope-side or in-town lodging and free skiing for kids 12 and under with a paying adult. Keystone. Taking children’s programming to the next level, Keystone Resort offers a Kids Ski Free program with no blackout dates, no lift ticket requirement for adults, availability on all weekends and Holidays and only a two night minimum stay required. This season the Resort is introducing the first-ever family ski trail. The Schoolyard will debut on Keystone’s signature green cruiser, Schoolmarm. The Resort is also introducing Free Family Front-Row Parking in its main parking lot, just steps from Keystone’s gondola. Other family-oriented amenities will include convenient wagons and gear chauffeurs available throughout the resort to help guests easily transport skis and snowboards to and from the lifts. Throughout the season, visitors can enjoy special family programming including a weekly Kids Après gathering, a Sunday morning Ripperoo Brunch, a mountaintop Snowfort and the fourth consecutive year of the resort’s popular Kidtopia programming. Steamboat Springs. Known as Ski Town U.S.A., Steamboat Springs has built itself over the past five decades as one of the best family ski resorts in North America. With a focus on award-winning family programs, the resort offers a variety of options on and off the slopes. Steamboat provides the perfect environment for kids and families learning how to ski with kids-only lifts in the form of beginner magic carpets, private full- and half-day lessons for the whole family and Sunshine Family Trail, complete with Snow Monsters, Steamboat Olympians and other characters along the way. To make a trip to Steamboat Springs even simpler for families, when a parent/grandparent purchases a 5-or-more-day regular adult lift ticket or rental, one child/grandchild age 12 and under receives a free lift ticket and rental. I was looking for blogs about Keystone to share on our site and I came across your post. I’m wondering if you are open to having your blog post featured on our site. If so, shoot me an email at Alison(at)dwellable(dot)com. I have heard that Colorado is really nice in the winter. I will be attending a new hampshire conference this weekend, and I am excited to be able to check out some beautiful trails!